Are You Ready To Invest In The USA? You may have heard of people from all over the world buying housing in the city of Las Vegas, Nevada for long holidays in the sunshine and may be earning some additional income through holidays lets, to cover expenses. Have you ever thought of investing in America for long term rentals which can create great cash flow? America’s midwest can offer some great double digit rental yields, if you follow these tried and tested guidelines/tips. 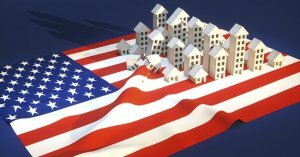 The facts are that the USA is the most secure place in the world when it comes to protecting and growing your real estate assets. Increased employment ( look for the big fortune 500 companies e.g IBM, Walmart, General Motors to name a few. BTB Capital Group, LLC has prepared a report of “Top Job Gains In These Metro Areas”. Is local/national governments investing in the area. Does it have that feel – things are on the up i.e. the indicators of long term growth. The following Midwest areas are popular with cash flow investors: Memphis, St Louis, Cleveland, Columbus, Indianapolis & Kansas City. Once you have decided on an area – Choose the right sources. Research online forums and blog sites e.g. “Bigger Pockets“, “The Real Estate Insiders“. There are several threads on the forum around turn-key providers in different areas. Don’t be afraid to ask for recommendations, however always do you due diligence regardless. Checkout turn-key reviews from clients – a really good turnkey review site is TurnKeyReviews. Roofstock is a turnkey operations that have received many great reviews. E-mail a minimum of 3 property companies / providers. Explain what you are looking for. Do they respond efficiently, do they try and push you deals straight away. There should initially be mutual trust created before there is any discussion of deals. I had approximately 5 lengthy phone conversations along with extensive due diligence before I went with one of my turn-key providers in Ohio. Don’t be afraid to ask questions and follow this up with phone calls or Skype. Ask the provider for references and have they previously dealt with foreign investors. Ask what sort of guarantees they provide i.e. maintenance, rental or tenant placement guarantees. The big one for me. Do they invest in Real Estate themselves? I feel so much more comfortable when providers have their own rental properties. It usually means they would hopefully not buy something for an investor which they wouldn’t hold in their own portfolio. Also if they have big exposure to the social media, podcasts, etc. they will have big reputations they need to uphold. OK, so you have found a reputable Provider – what about a deal? A seasoned investor named Seth Williams has broken down the logistics and the financial aspects of how to finance, establishing bank accounts and the legal red tape you’ll have to work around. It’s certainly going to take some work but it will certainly be worth your while! Contact us if you’re interested in investing in real estate in Las Vegas, Nevada, we’d love to be a resource of good information for you.